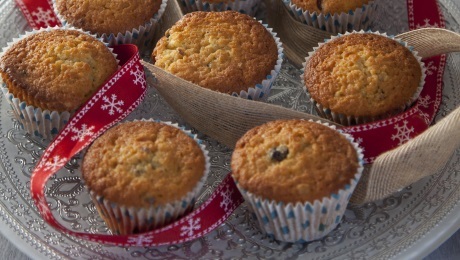 Delicious Mince pies to WOW your guests over the festive period. Put all the ingredients, except the mincemeat, into a mixer and mix until bound together. Wrap the dough in cling film and allow to rest. Preheat the oven to 180°C/350°F/gas mark 4. Grease and line a 12-cup bun tray or ramekins. Cut out disks of pastry and use them to line the bun tray or ramekins. Spoon some of the mincemeat into each of the pastry-lined cups and top with an additional circle of pastry. You can use a small pastry cutter to make star shapes for the top pastry layer for a more festive look. Bake for 15 to 18 minutes, until light golden. Turn out of the tin or ramekins and cool on a wire rack. Serve with some freshly whipped cream that has a splash of Irish whiskey and 2 tablespoons of icing sugar added to it.